The Centre for Journalology is supported by generous donations to The Ottawa Hospital, as well as contributions from other partners. Full reference: “Stop this waste of people, animals and money” is published in the September 7, 2017 edition of Nature as a Comment piece. 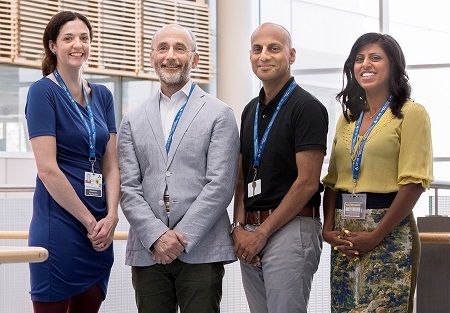 In addition to David Moher, Larissa Shamseer, Manoj Lalu and Kelly Cobey, other co-authors from The Ottawa Hospital and the University of Ottawa include Nadera Ahmadzai, Mostafa Alabousi, Marc T. Avey, Pauline Barbeau, Andrew Beck, Raymond Daniel, Robert Frank, James Galipeau, Mona Ghannad, Candyce Hamel, Mona Hersi, Brian Hutton, Trevor A. McGrath, Matthew D.F. McInnes, Misty Pratt, Kusala Pussegoda, Beverley Shea, Anubhav Srivastava, Adrienne Stevens, Inga Isupov, Kednapa Thavorn, Sasha van Katwyk, Roxanne Ward, Dianna Wolfe, Fatemeh Yazdi, Ashley M. Yu and Hedyeh Ziai. Matthew J. Page of Monash University (Australia) is also a co-author. Mona Ghannad is also affiliated with University of Amsterdam (The Netherlands) and Université Paris Descartes (France). Kelly Cobey is also affiliated with the University of Stirling (Scotland).